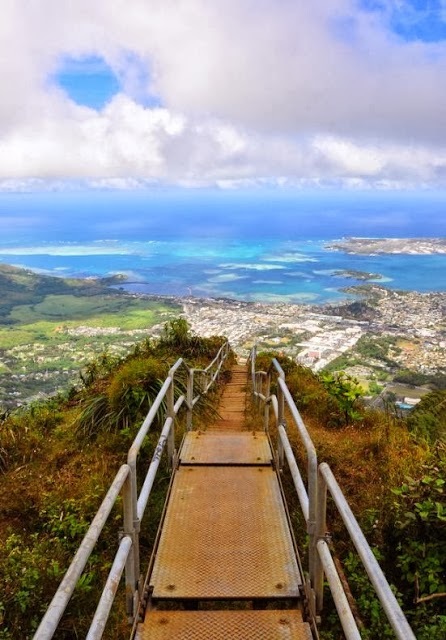 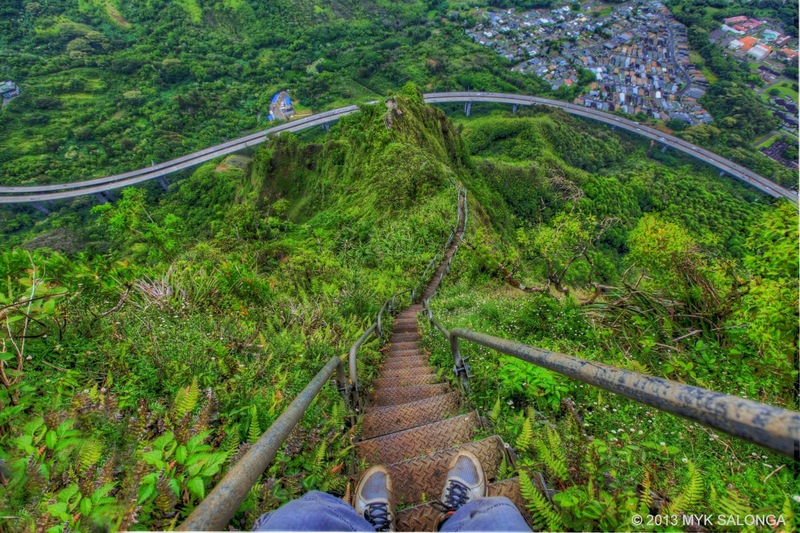 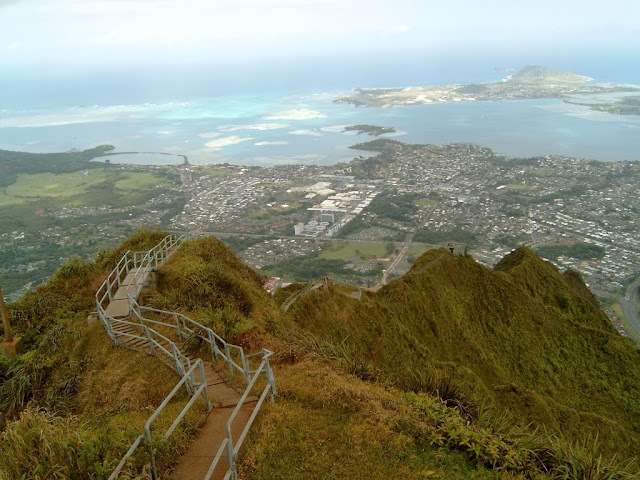 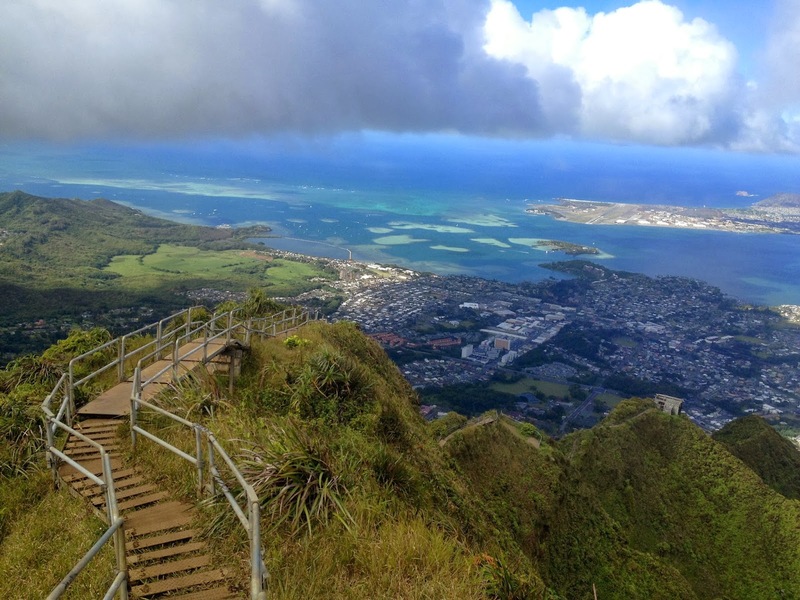 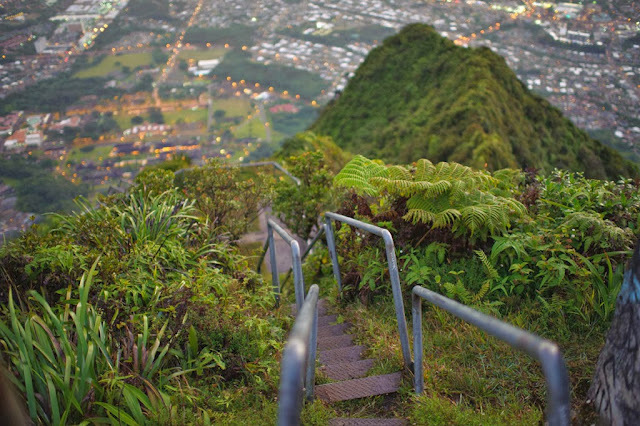 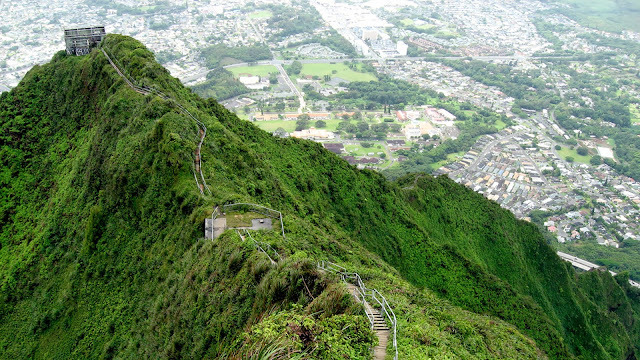 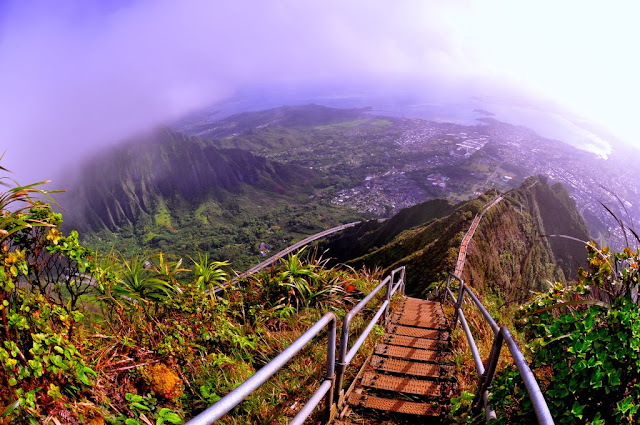 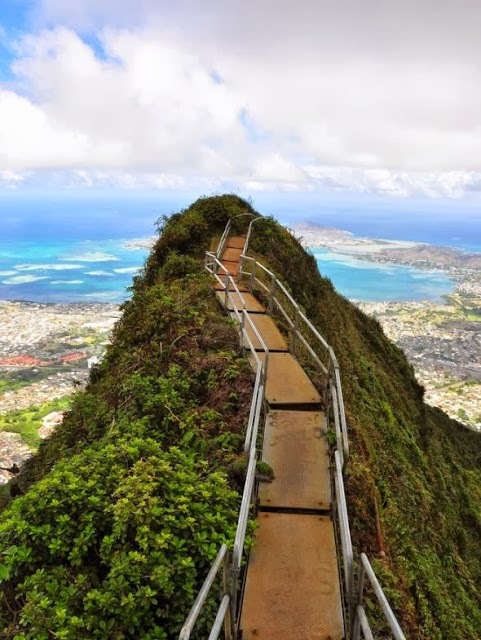 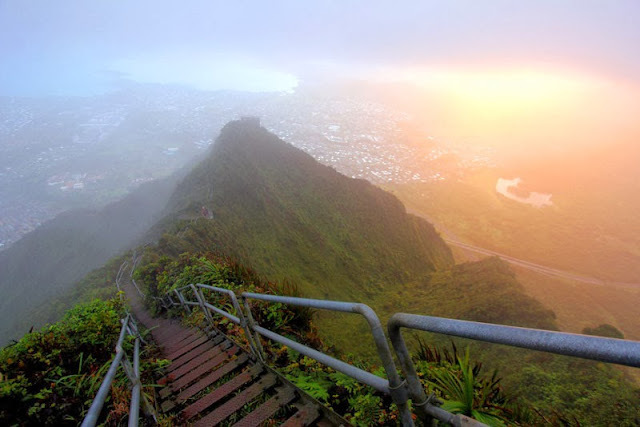 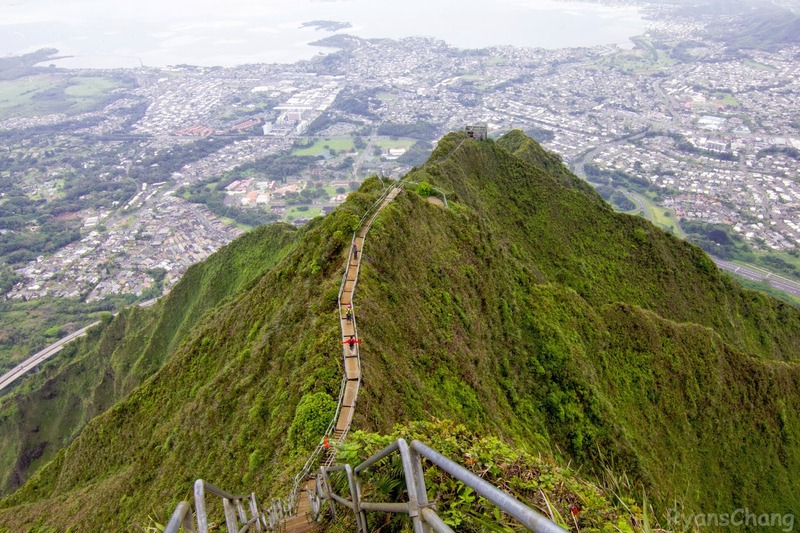 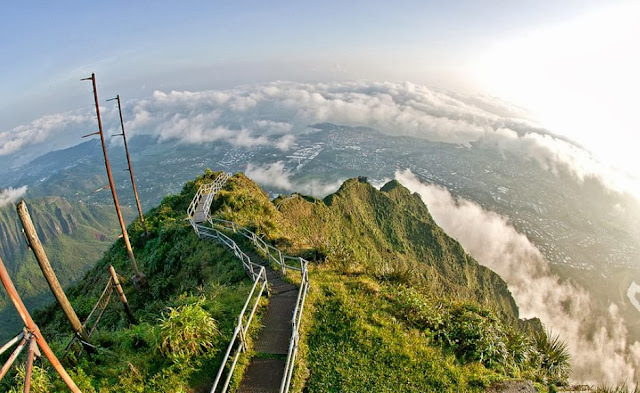 The Ha’ikū Stairs, also known as the Stairway to Heaven or Ha’ikū Ladder, is a steep hiking trail in Kaneohe, Hawaii, on the island of O’ahu. 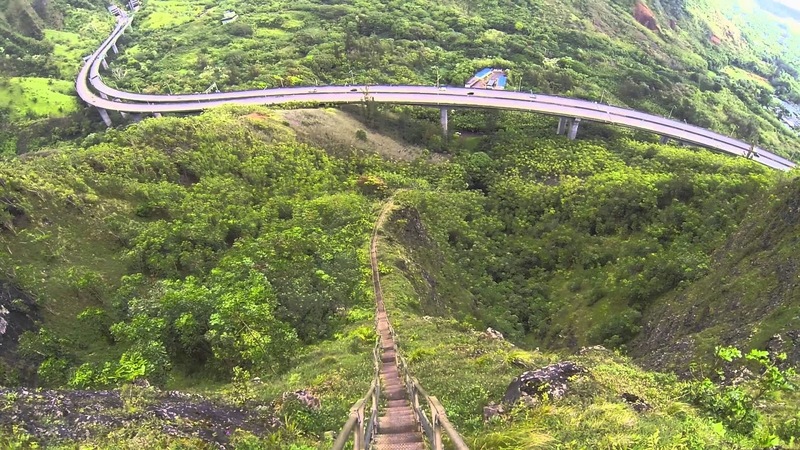 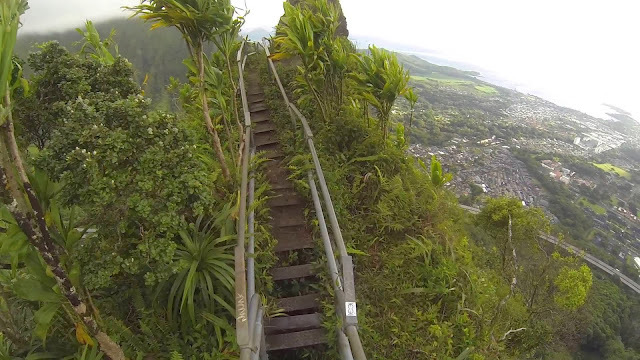 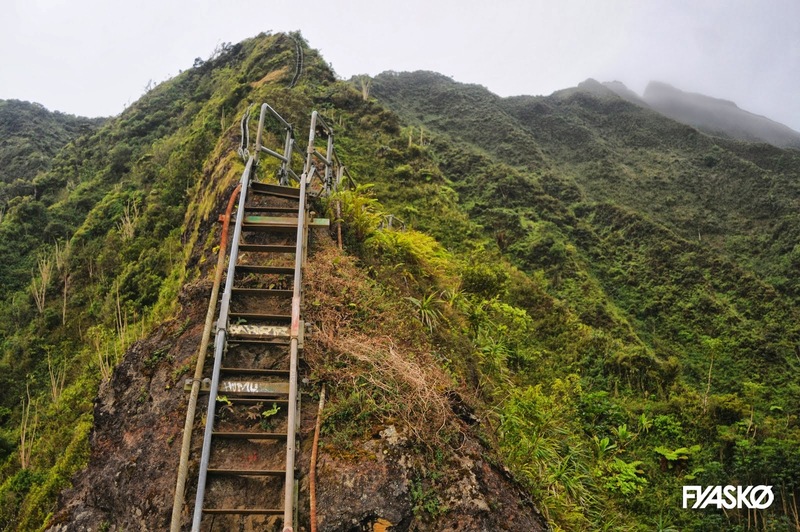 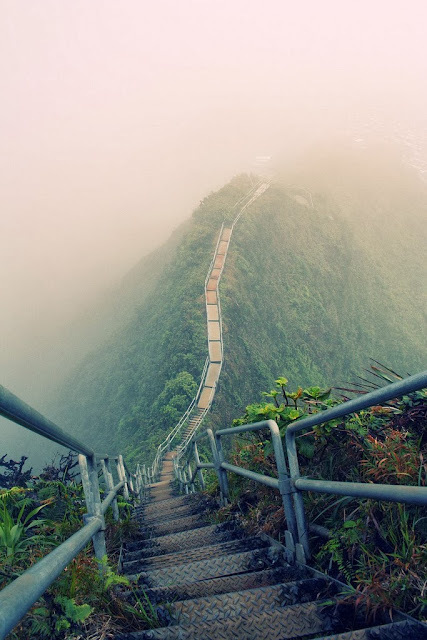 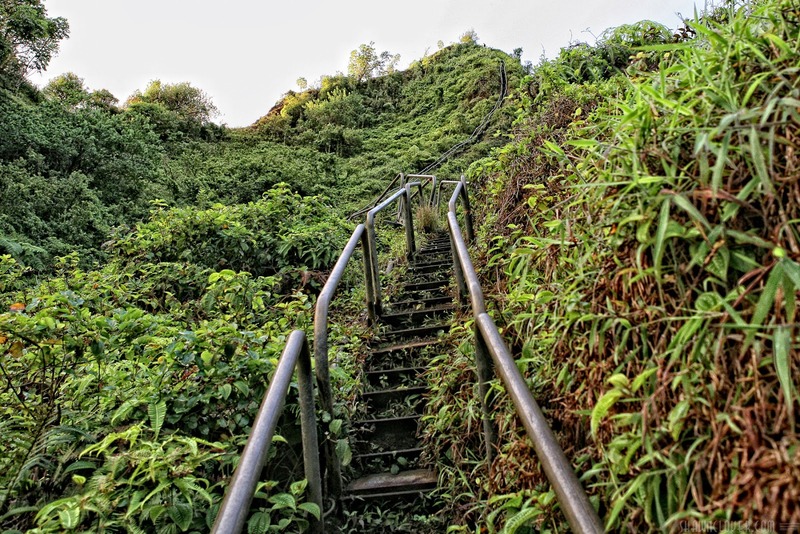 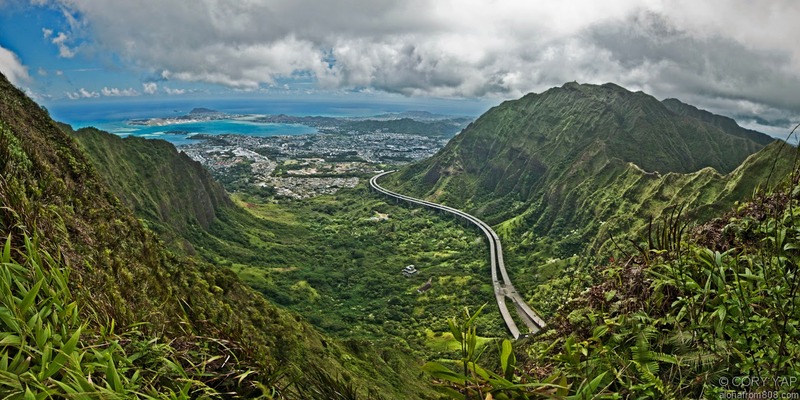 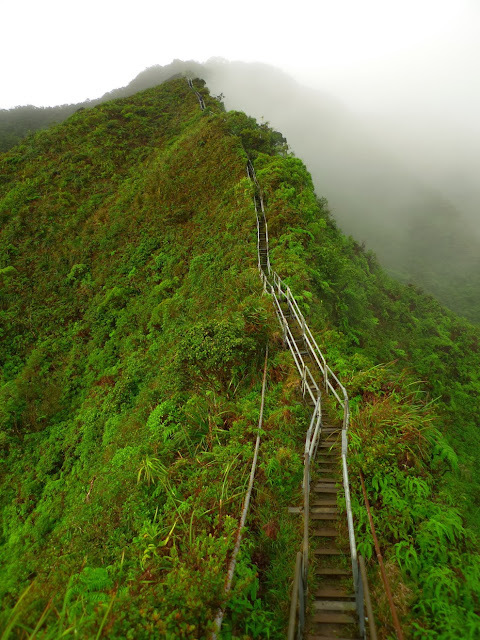 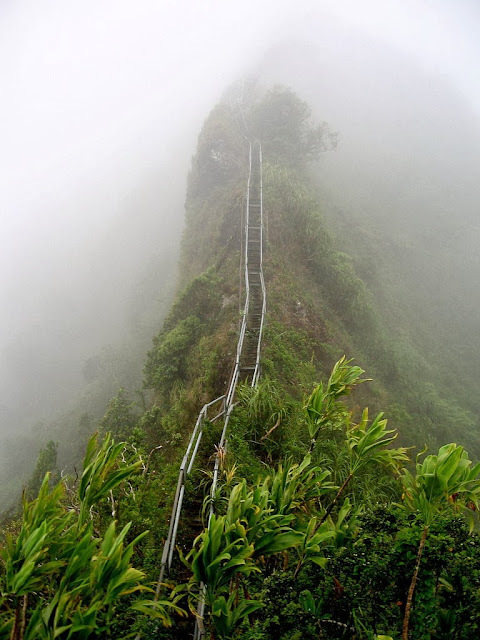 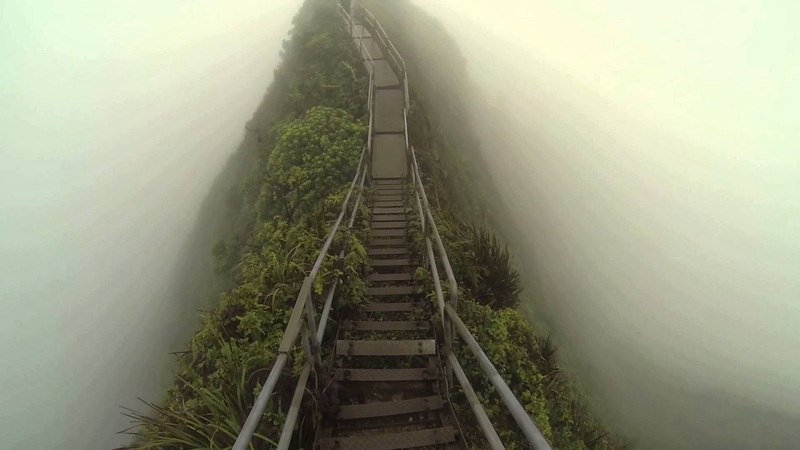 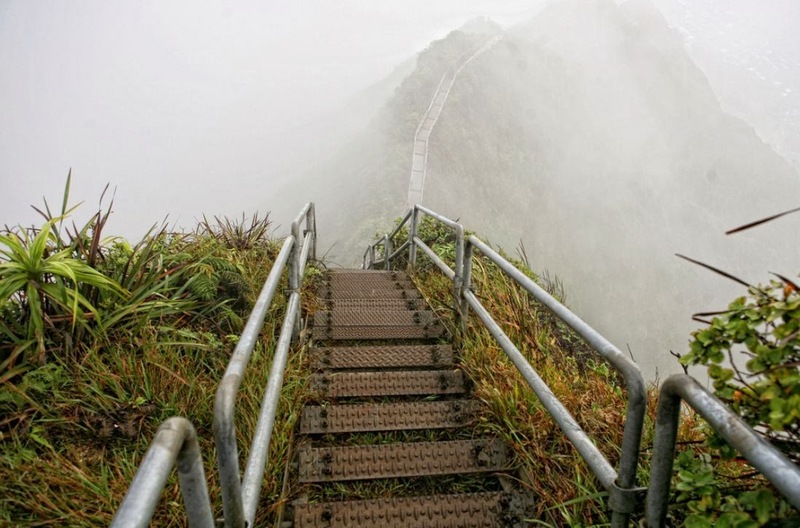 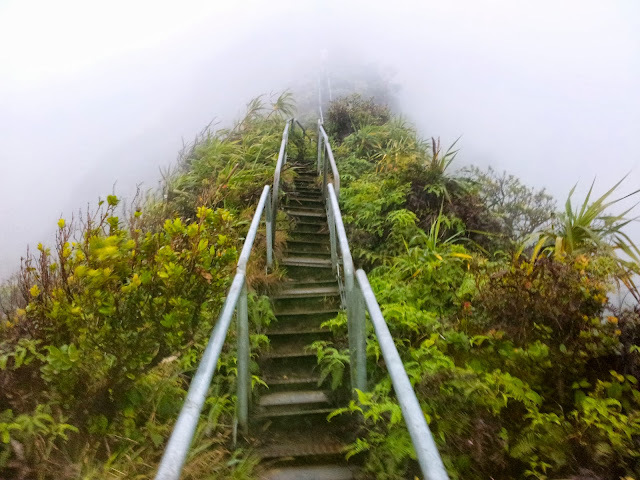 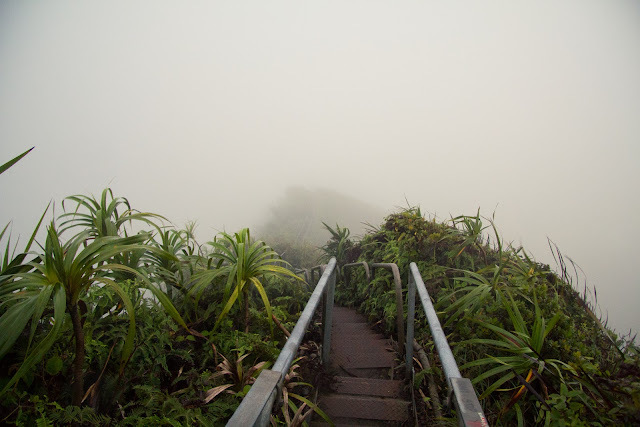 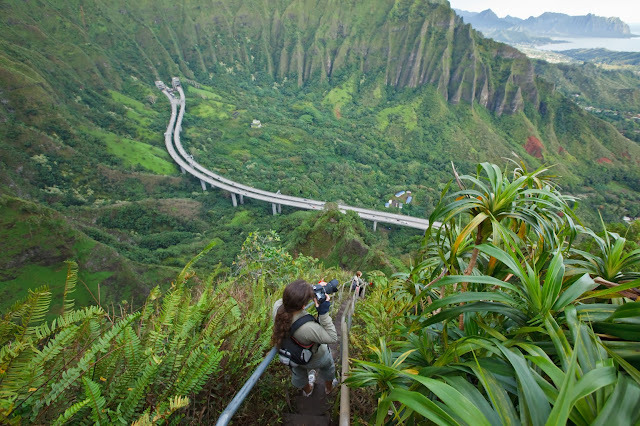 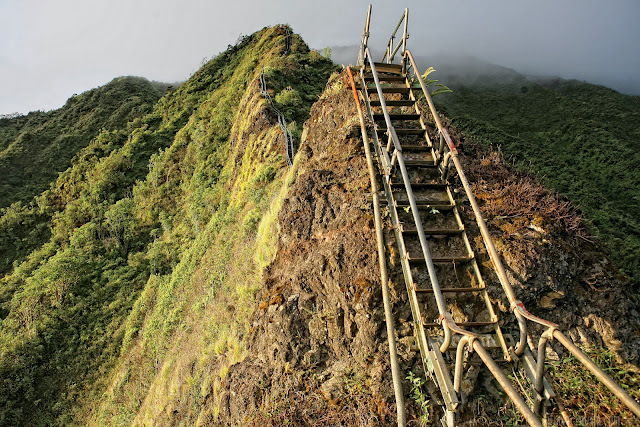 The trail began as a wooden ladder spiked to the cliff on the south side of the Ha’ikū Valley. 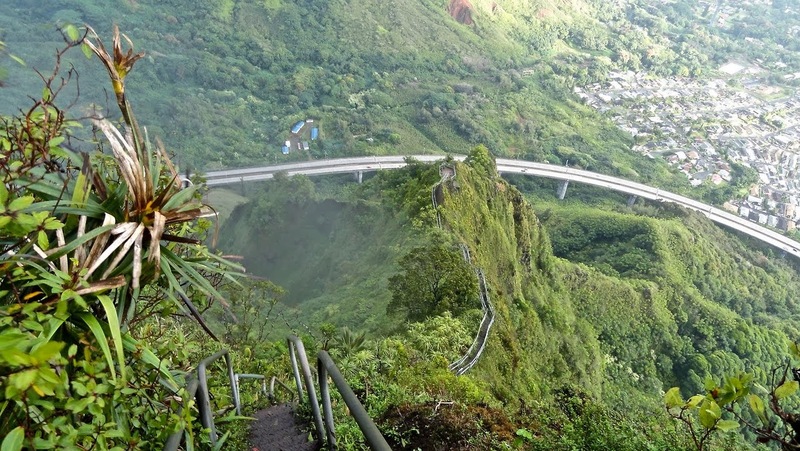 The trail started as a wooden ladder spiked to the cliff on the south side of the Haʻikū Valley. It was established in 1942 to enable antenna cables to be strung from one side of the cliffs above Ha’ikū Valley to the other. 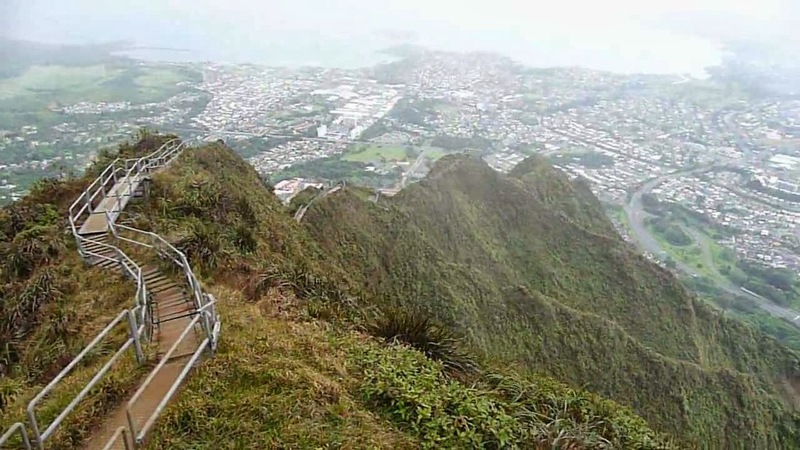 A building to provide a continuous communication link between Wahiawā and Ha’ikū Valley Naval Radio Station was constructed at the peak of Puʻukeahiakahoe, elevation about 2,800 feet. The antennae transmitted very low frequency radio signals from a 200,000-watt Alexanderson alternator in the center of Ha’ikū valley. 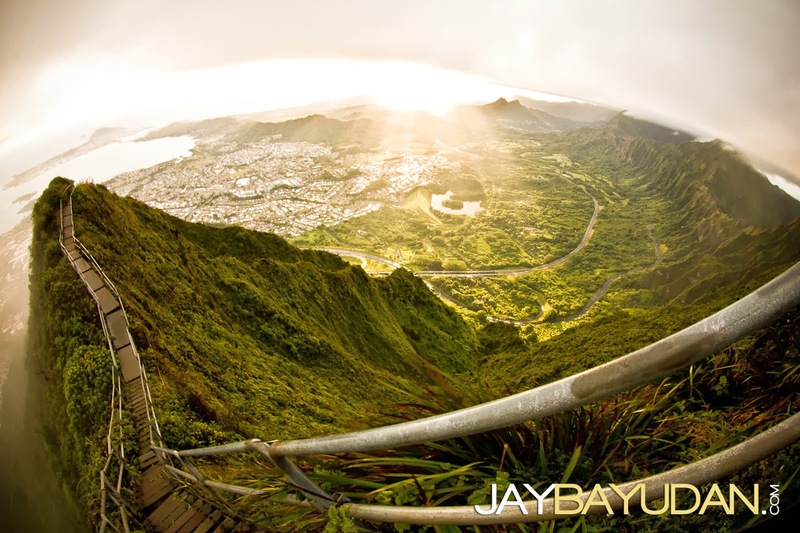 The signals could reach US Navy submarines as far away as Tokyo Bay while the submarines were submerged. 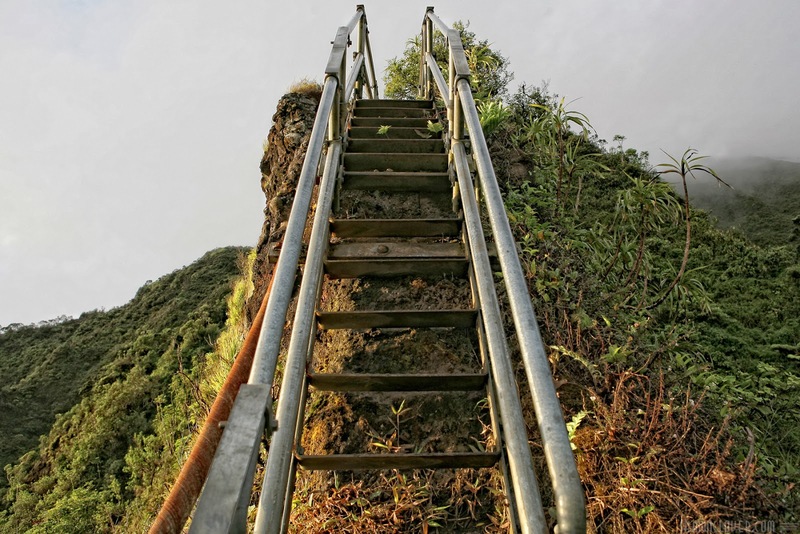 Testers for RCA picked up signals on Long Island, and the signal also reached India, 10,600 kilometer away.When the Naval base was decommissioned in the 1950s, the USA Coast Guard used the site for an Omega Navigation System station. In the mid-1950s, the wooden stairs were replaced by sections of metal steps and ramps by one count, 3,922 steps. 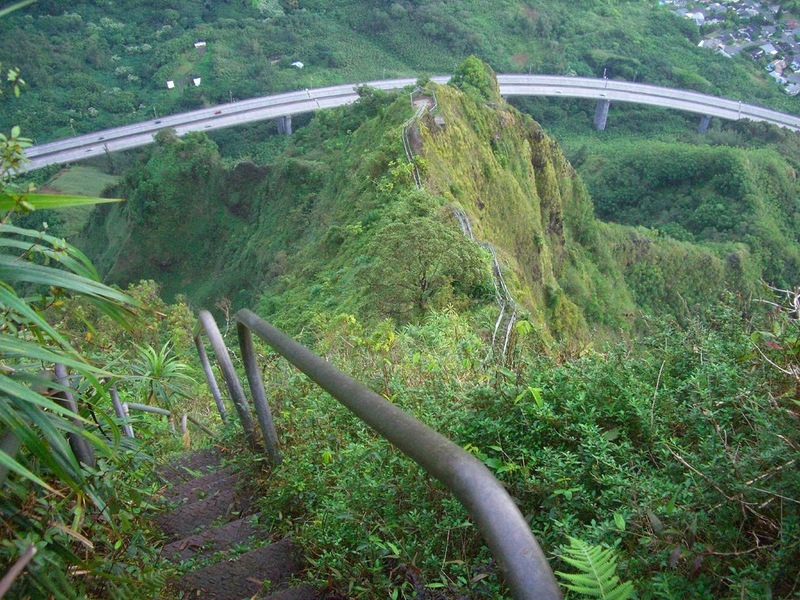 In 1987, The station and trail were closed for the public. 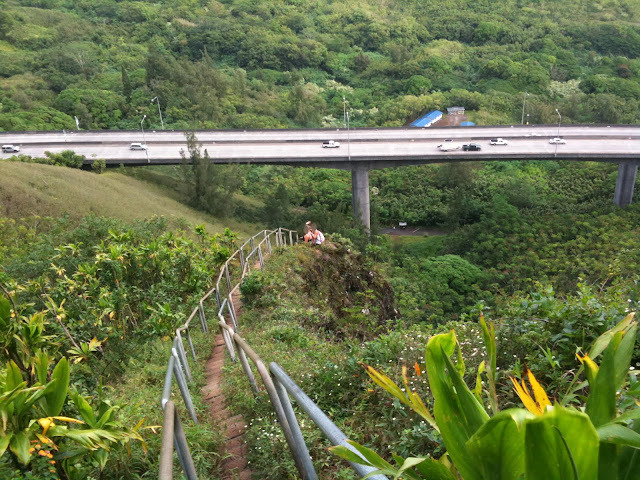 A few hikers pay no attention to the No Trespassing signs and continue to climb, contributing to the local community's misgivings about reopening the structure. In 2003, the stairs were well repaired, costing the city $875,000. 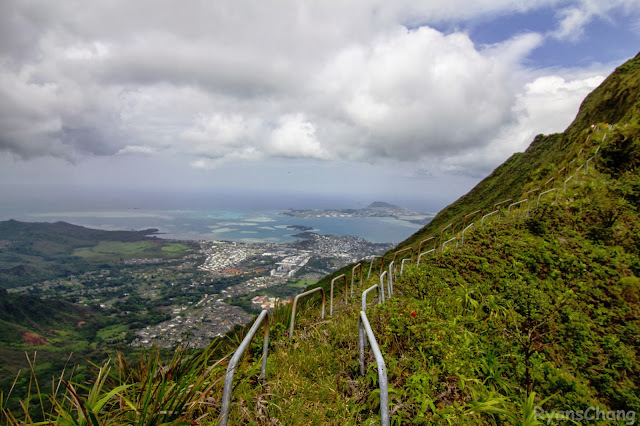 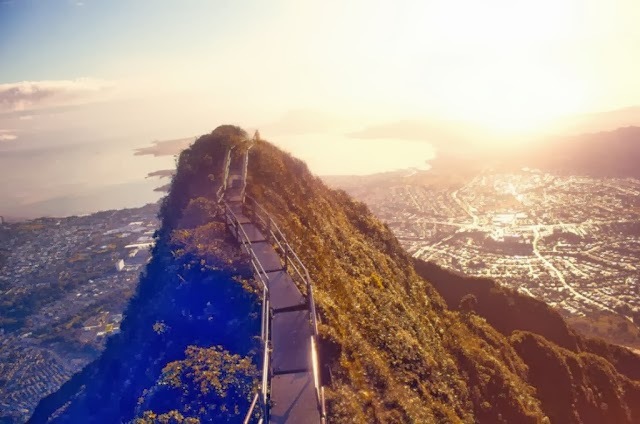 In the early of 2012, land usage rights issues have not been resolved, and the City and County of Honolulu has confirmed that there is presently no plan to open the stairs for public use, citing liability concerns.